Larry Edelson here. Already, in just the first trading day of the year, crude oil broke through the $100-a-barrel mark for the first time ever! Meanwhile, gold rose above $860 an ounce, flirting with a new all-time high! Are these signs of more upside ahead? I sure think so! And today I want to tell you why. 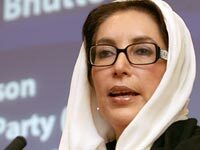 Force #1: Geopolitical turmoil — As the assassination of Benazir Bhutto demonstrated, Pakistan is going to be a big problem for the world in 2008. So are Iraq and Iran. Russia, too, will flex its muscles more. And I'm sure Venezuela will pull some tricks, even though Hugo Chavez's "president-for-life" bid recently failed. The death of Benazir Bhutto is just one reason to expect geopolitical turmoil in 2008. Add in our own U.S. elections — close races no doubt — into the mix, and you have a recipe for one of the more volatile political backdrops the markets have seen in years. Indeed, according to my indicators, there will be more geopolitical turmoil in 2008 than there has been since at least 9/11! Force #2: Real estate woes — Make no mistake, the subprime mortgage crisis is far from over. And falling real estate prices will continue. This will continue to put strain on the world's financial systems. And it will force central bankers to continue throwing money at the problem. Force #3: Soaring inflation — I believe 2008 will be the year that inflation finally rears its head in the official numbers in a majority of sectors (much to Washington and Bernanke's chagrin). Meanwhile, the dollar will continue to lose value, causing consumers to lose purchasing power month after month. If I sound gloomy about 2008, it's because I am. I think 2008 is going to be a disaster for most investors. But that doesn't mean you can't make money. In fact, if you take the right steps and look to the right investments, I think 2008 will provide huge profit opportunities . The secret? Look no further than China for proof of this concept. Almost everyone seems to get the China story wrong. Six years ago the majority of analysts were predicting a crushing collapse in China's economy. "Too much bad debt in the banking system," they said. Interestingly, practically none of them had ever been to China, nor did they understand how the Chinese banking system works. I stood alone, telling everyone that the bad debts were phony. I explained that China's communist government meant the debts were not between public and private sectors because there was no private sector . In other words, any debts that existed ... any unproductive loans and investments ... could be written off with the stroke of a pen. Sure enough, that's exactly what happened over the last five years. Tens of billions in bad debts were written off because it was just one division of the communist government owing another division. Add in China's huge export machine ... its $1.345 trillion in accumulated reserves ... its partial privatization of the banks to use other people's money as equity ... and now China's banks are some of the strongest in the world, with reserve capital far in excess of western standards! Yet most analysts are still getting China all wrong! A colleague of mine — one of the same people who used to make the banking problem argument — now tells me China is going to implode because of the wealth gap between rural and urban areas. He cites some 80,000 official protests that erupted in 2007 as proof that China's 1.3 billion people are restless and unhappy, and that the empire is going to collapse. Again, this analyst has never stepped foot in China. Nor has he done his homework. And I think he's dead wrong. Yes, there were 80,000 protests in China in 2007, more than any other year of recorded data BUT 63,000 of them were not about the wealth gap. They were about environmentalism ... preserving traditional historic sites (which are being threatened by new infrastructure developments) ... and improving the health care system. They weren't even about democracy! The other 17,000 protests? They were protests about farming issues, education, and social security. They weren't really about the wealth gap that my colleague and all the analysts in the West are now citing as the reason China will collapse. So many analysts get China wrong it's mind-boggling. But that's what happens when they try to understand an economy without understanding its culture or going there first-hand to see, feel, and hear what's happening. Heck, they can't even see what's happening right in front of their faces here in the U.S.! Do you think most analysts recognize that the Dow Jones Industrial Average is in a steep bear market and has lost nearly 70% of its value since 2000? No way! But that's precisely what's happened. If you measure the value of the Dow against the prices of tangible assets, sure enough, it has lost 70% of its purchasing power in the past seven years. In plain dollar terms, that means $10,000 invested in the Dow in 2000 would purchase on average only about $3,000 worth of today's goods and services. I Continue to Recommend Natural Resource Investments for the Year Ahead! As I just told you, I think there's plenty of upside in China. That means both profits in select Asian shares as well as profits in natural resources investments. Reason: When demand for commodities rises, so do prices. Now factor in the other forces I told you about — geopolitical turmoil, subprime woes, and rising inflation. Each and every one of those forces makes investors nervous, and send them running for protection, for real wealth and tangible assets. They, too, point to huge profit opportunities in the natural resource markets — in select natural resource stocks and in tangible assets that flourish as the dollar continues to be devalued and as a new consumer class emerges in Asia! So, if you think gold and oil are high now, just wait and see what the New Year brings! P.S. For an in-depth look at all my 2008 forecasts, including my core recommendations for 2008, be sure to read the January issue of Real Wealth Report . If you're not already a subscriber, don't miss this issue! Join now and you'll get it the second it's out, plus 11 more hard-hitting issues, all my flash alerts, and more!